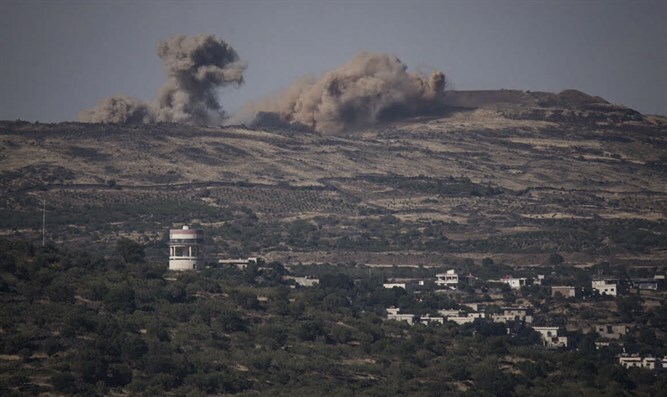 IDF launches airstrikes on several targets in Syria, confirms Jordan Valley siren was result of those airstrikes. An incoming rocket siren was heard at around 3:00 a.m. Friday morning in the Jordan Valley area. The IDF later confirmed that the sirens were related to Israeli airstrikes on several targets in Syria. Several anti-aircraft missiles were launched from Syria following the mission and IDF Aerial Defense Systems intercepted one of the missiles, the IDF Spokesperson’s Unit. At no point was the safety of Israeli civilians or the IAF aircraft compromised. On Wednesday evening, a rocket fired from Gaza exploded in an open region in the Negev. No injuries were reported. The Red Alert incoming rocket siren did not sound because the rocket was headed toward an open area. In response, the Israel Air Force (IAF) attacked and destroyed two terrorist infrastructures belonging to Hamas in northern Gaza. Two weeks ago, a rocket from Gaza exploded in an open area in the Hof Ashkelon Regional Council. In late February, two rockets were fired from the Sinai Peninsula towards Israel and exploded in the Eshkol Regional Council, causing no injuries or damages.